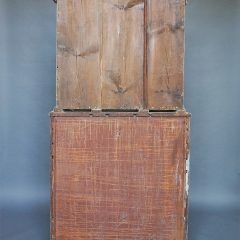 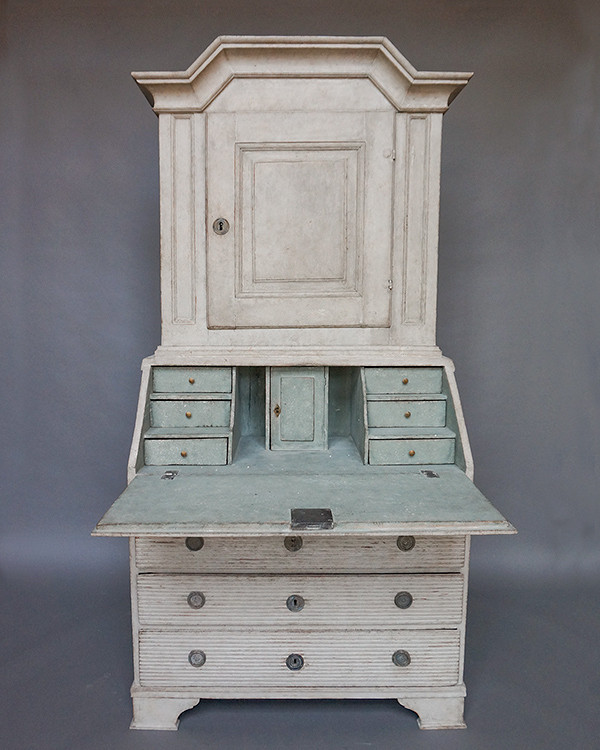 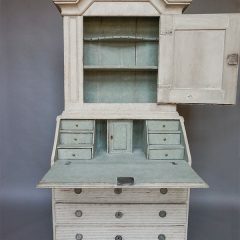 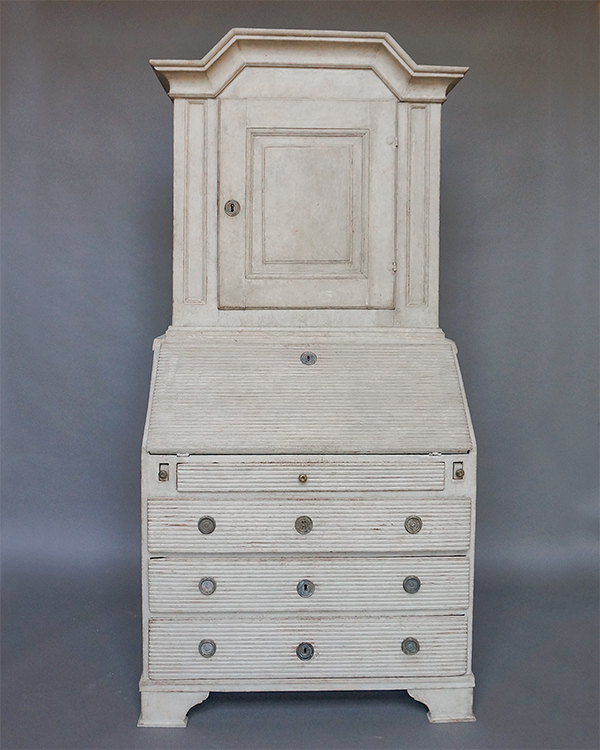 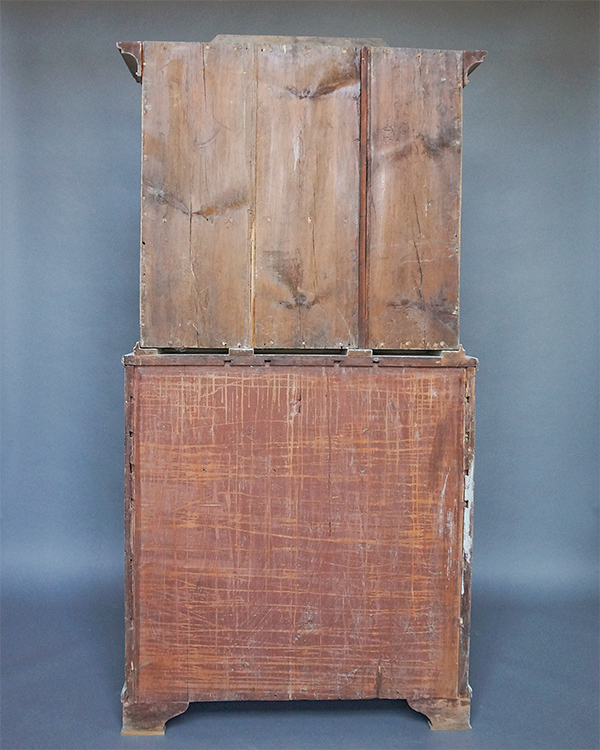 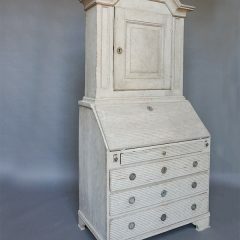 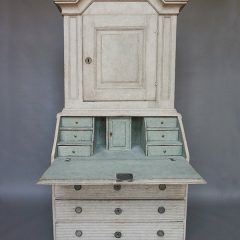 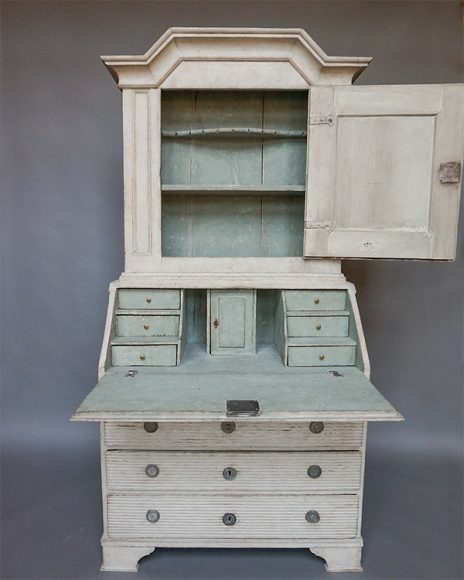 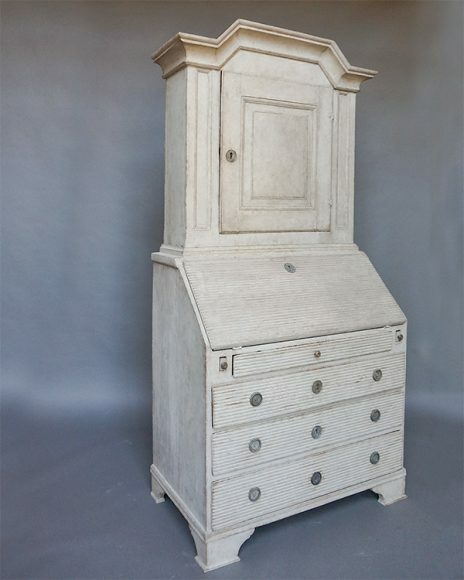 Slant-front secretary in two parts, Sweden circa 1790. 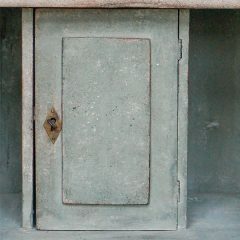 The upper section has an arched cornice and single paneled door, with two interior shelves, the top one shaped and notched for spoons. 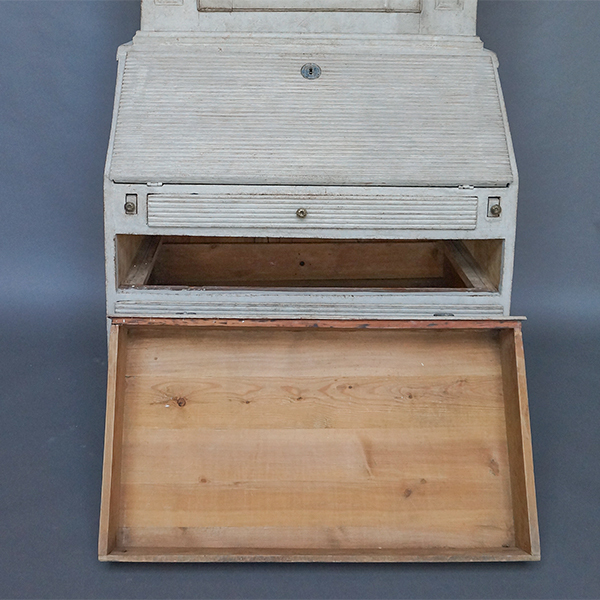 The lower section has three full width drawers and a smaller drawer under the slant front. All the drawers and the desk front have narrow horizontal reeding. 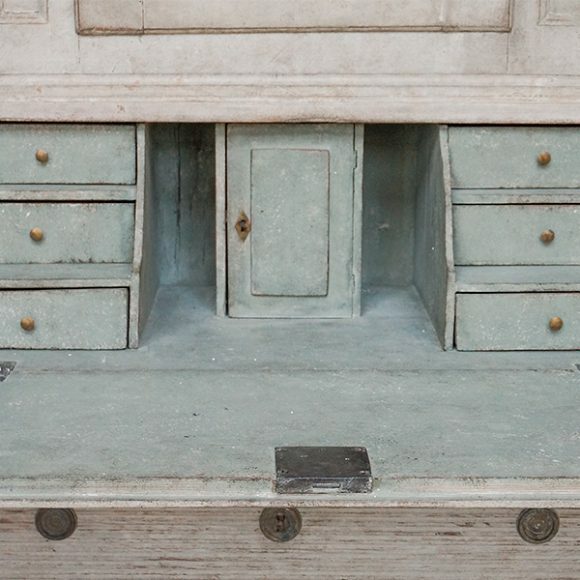 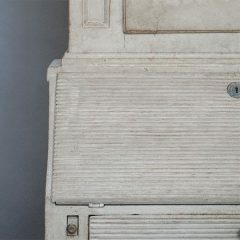 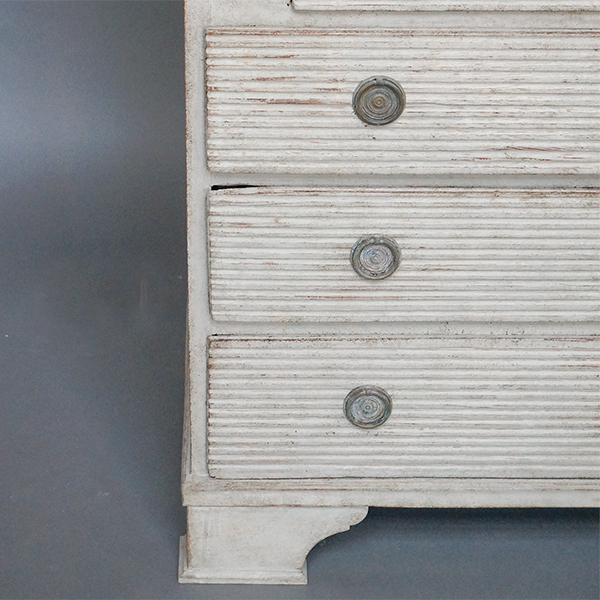 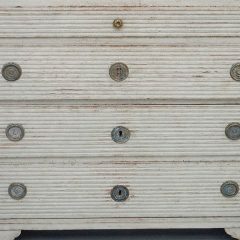 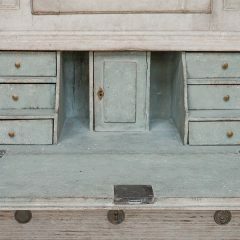 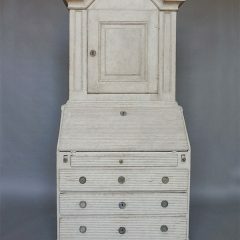 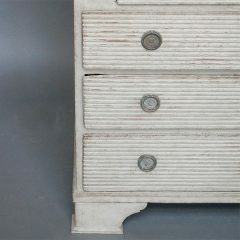 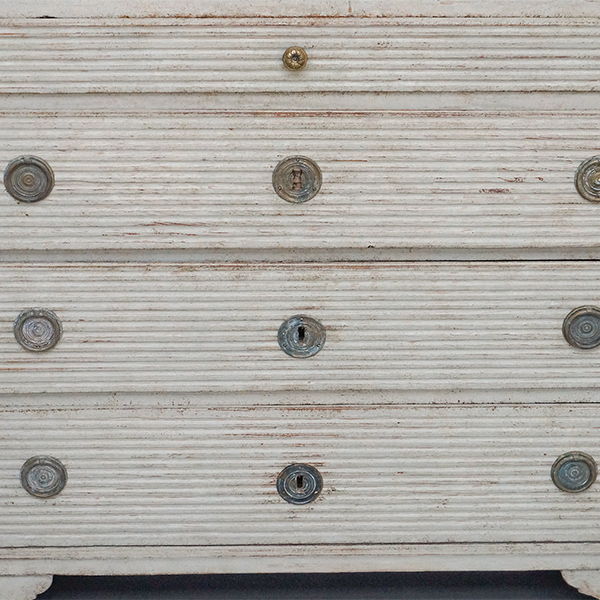 The desk’s interior has two stepped banks of drawers and a central locking compartment. 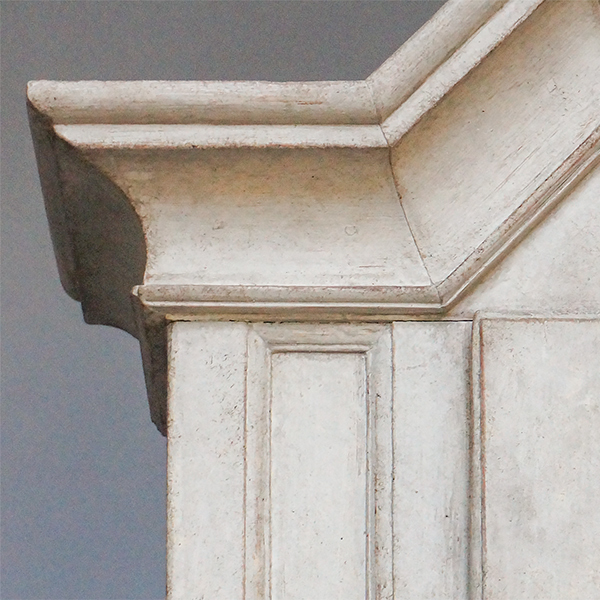 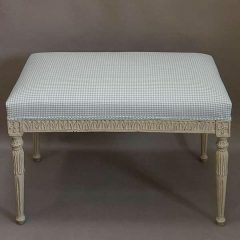 The piece stands on a simple bracket base.